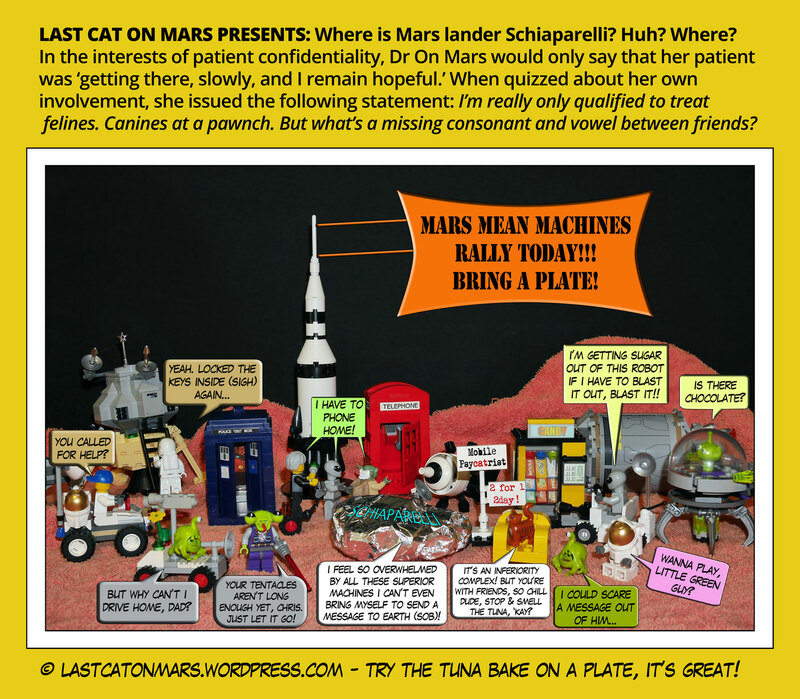 Last Cat On Pluto (not a dwarf planet, never ever a dwarf planet, but a proud and bewildering solar system perennial: brought to you by Puffer-Upperers of Piddly Planets Way Out There Somewhere, of which Dr On Pluto is Chair, Vice-Chair, Secretary, Treasurer, and Committee Members, okay? Okay.). Take a breath, sisters, brothers, and others. 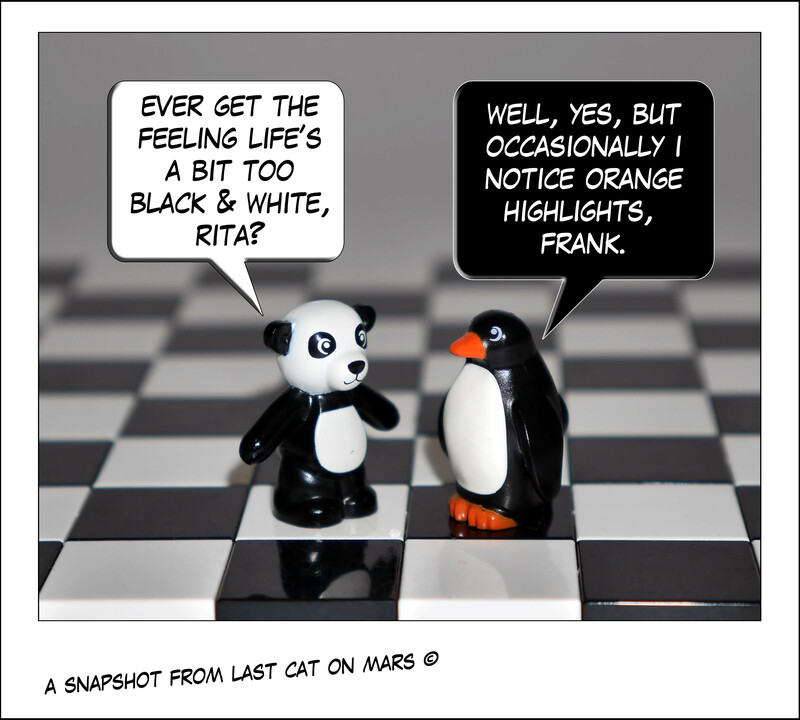 So, as I tuck into my lovely and luscious outer space tuna delicacies, please enjoy a snapshot from my dear little pals, Rita and Frank. Bon voyage! 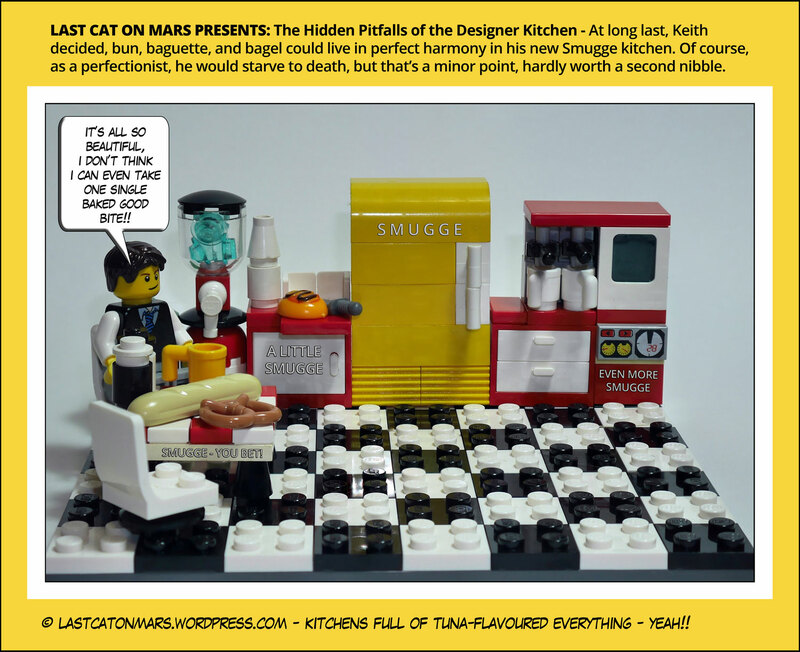 This entry was posted in Snapshots, Space and tagged black and white, cartoon, chessboard, comic, lego, minifigures, orange, panda, penguin, planets, solar system on October 16, 2016 by Jay Verney.